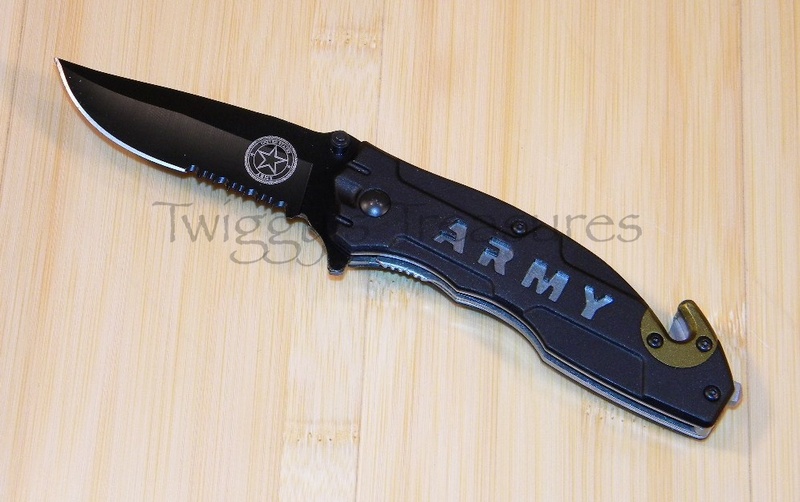 This folding knife comes with an ARMY lettering on the side of the knife. The knife features a seat belt cutter and a glass breaker. The blade is half serrated, black with an emblem on the blade that says US Army on it. ▪ Overall Length: 7 5/8"